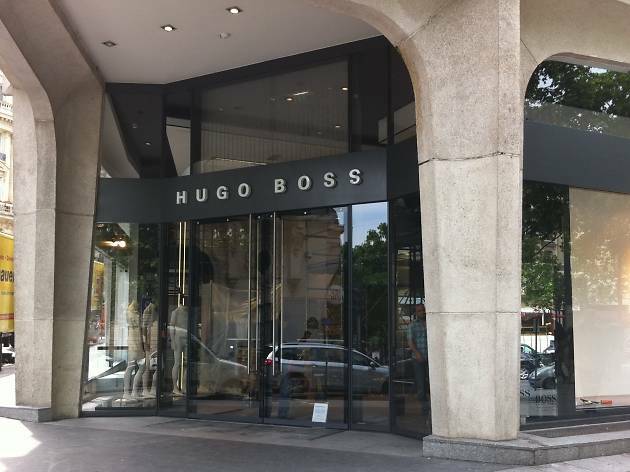 Hugo Boss’ new flagship store on the Champs Elysées is all straight lines and steely greys – rather like the signature Boss suits worn by the sales assistants. It feels like businessman territory here, with minimalist décor, the occasional wooden sculpture and big screens flashing images of Hugo Boss catwalk shows – inspiration for your shopping as you browse the minimalist rows of the brand’s smart, designer garb. 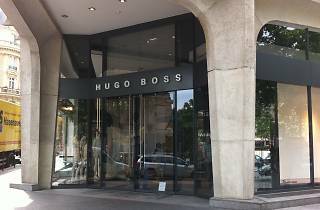 Boss has other outlets dotted around town, but this is its biggest store and perhaps the most relaxing, thanks to its large and airy proportions. Personal shoppers are on hand too, ready to guide you through the ranges and advise on style.